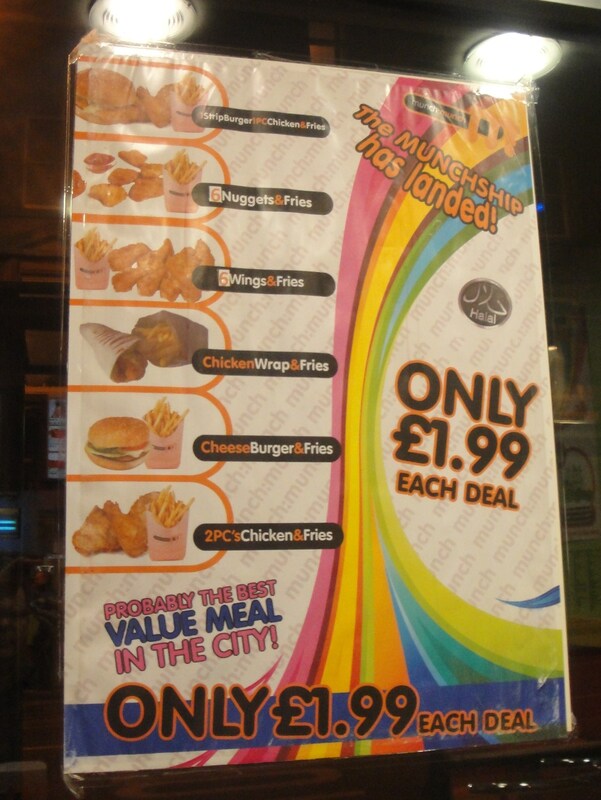 I was not quite sure how keen I was on eating a late night takeaway in a former public toilet, how keen would you be? That was the situation I found myself in the other night. 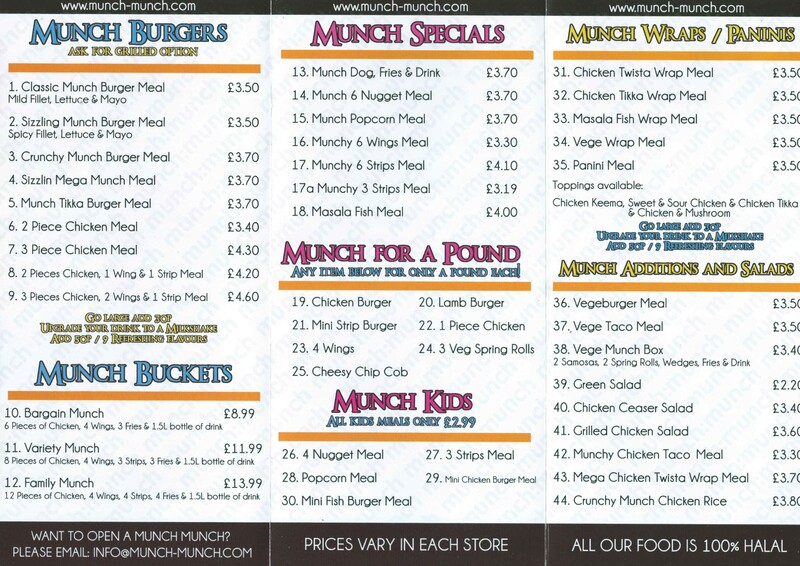 The Munch Munch chicken takeaway and I hesitate to say resturant was housed within the old public toilets at 48a Carrington Street. The 19th Century toilet block, formerly used primarily by the workers on the canal was redeveloped back in 2009 reputedly for the somewhat unbelievable sum of £500,000! I think that it was cheaper to spend a penny! 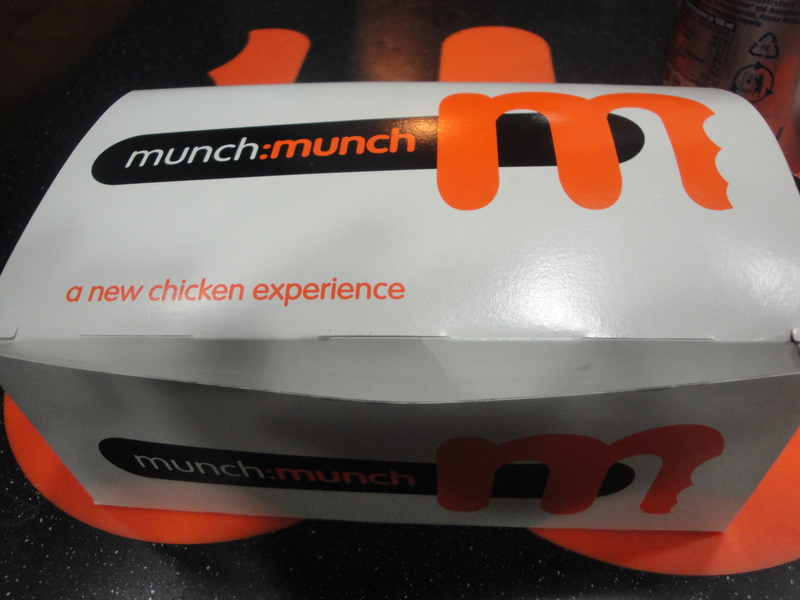 When the box was opened I wondered where the chicken was. The marks out of 10 for presentation were not looking good at this point, a shame really as the packaging was quite good and almost made me think I was in for a surprise. 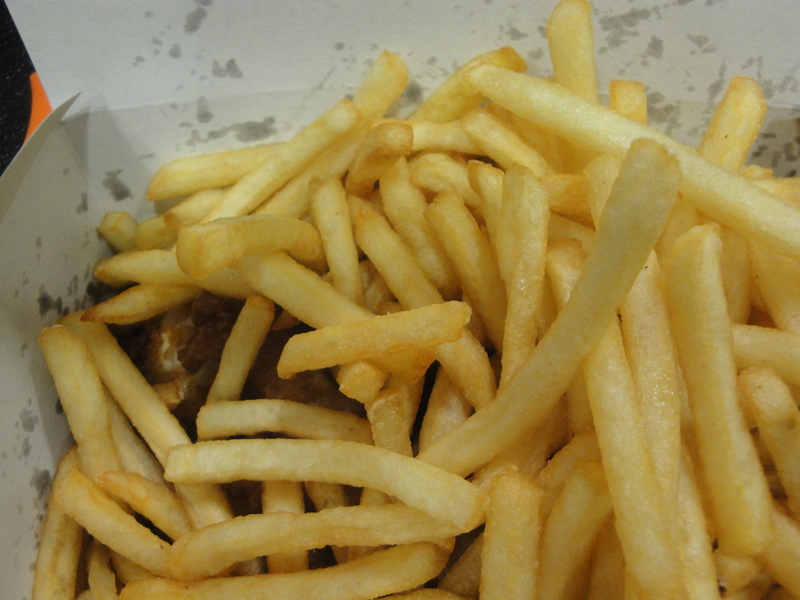 In fact I was I was being treated to one of those games at the local fete, like the bran bin, where you get to dip your hand deep into the bin, or in this case box of fries to see what prize you had won. My prize on this occasion was six of those breaded crispy spicy wings. 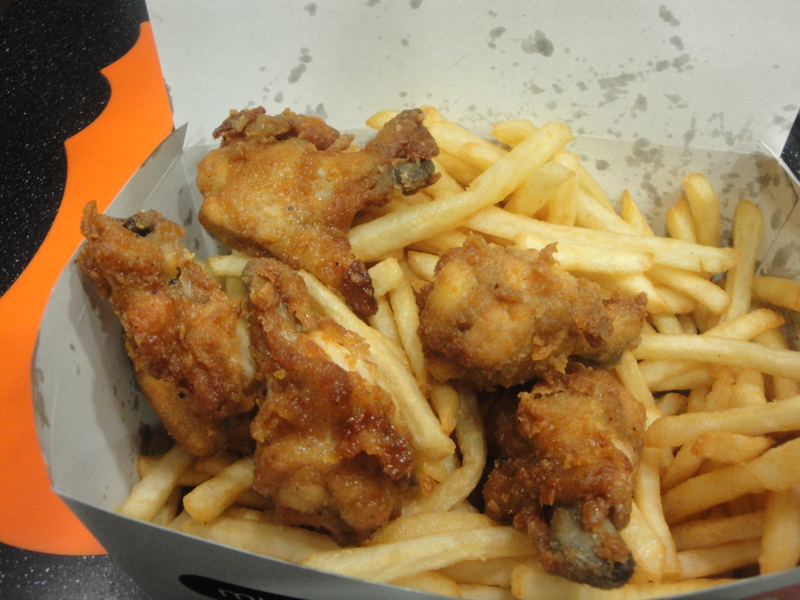 I thought that the chicken wings were not too bad, the breading was quite spicy, and the chicken still juicy and there was not too much grease or fat involved. 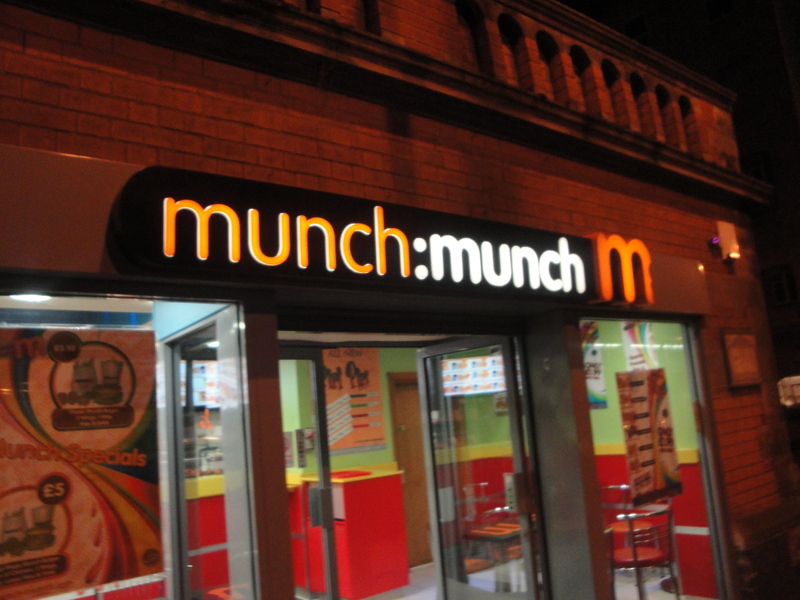 It was a lot better than most late night joints and I would probably pop in here for a bit of chicken during normal eating hours ( just to eat the chicken). The fries? forget about them, next time just chicken. 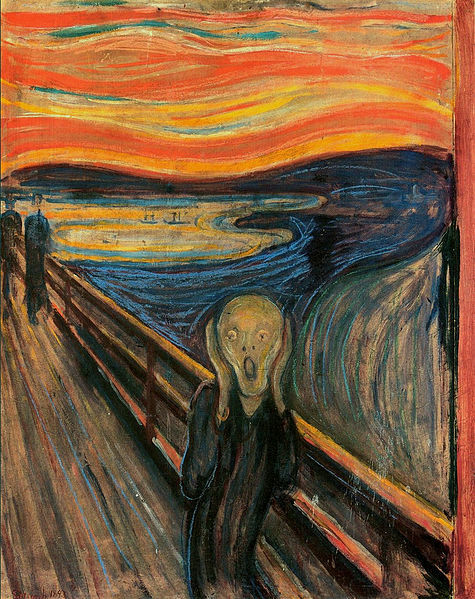 For some of us seeing the word Munch brings up more than one thought, for me it is Munching on food, but it also brings up images of Edward Munch’s painting ‘The Scream.’ Looking at that picture now, I think it looks pretty much like I looked after consuming this last feast. Actually to be honest that is how I think that I should have looked, but you know what I did not feel that way at all I was quite happy. As I noted above Munch is at 48a Carrington Street, right next to the canal and across the road from Nottingham Train Station. It is about 2 minutes walk away from the Station Street Tram terminus.